Tiny Comets is a free program offered to all preschool children who live in Penn Manor School District who are not yet age eligible to attend kindergarten (less than 5 years old on or before Sept. 1 of the school year). Events include a Kindergarten Information Night and Preschool Expo, scheduled for Feb. 5, 2019, at Hambright Elementary School, and a Lunch & Learn program in the winter and spring. 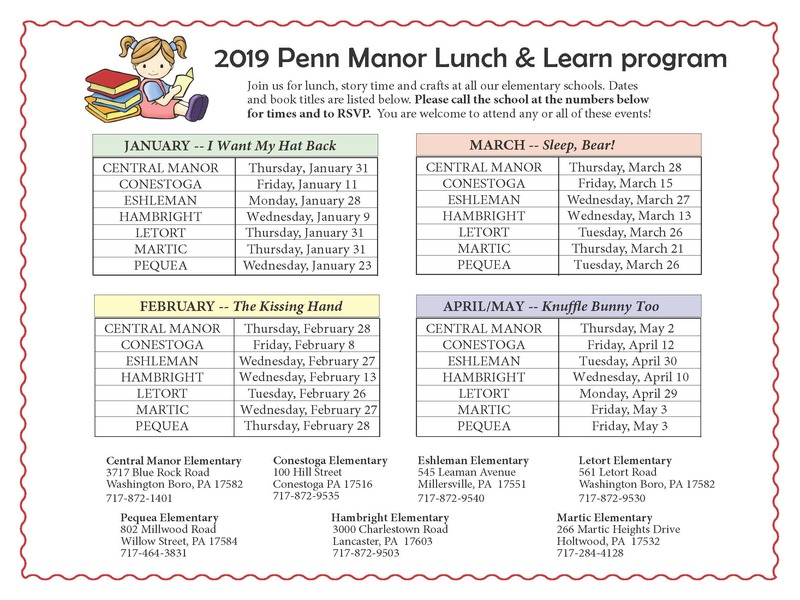 Lunch & Learn includes a story and craft time, library visit and lunch at Penn Manor elementary schools. To sign up for Tiny Comets, send an email with the names of your children and dates of birth, home address, email address and parents’ names to brian.wallace@pennmanor.net . If you have any questions, please contact Brian Wallace, Community Relations Coordinator, at 872-9500 ext. 2241 or by email at brian.wallace@pennmanor.net. Lunch & Learn is a program designed to help preschoolers and their parents transition to kindergarten. 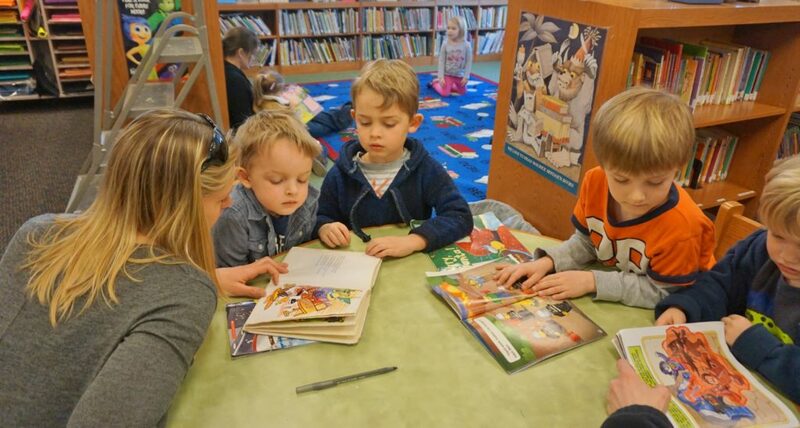 The program, which runs from January into early May, includes a story and craft time, library visit and lunch for participants ages 3 and older. Starting times vary by school, and programs run for an hour each month at all district elementary schools. Pre-registration is required. Children must be accompanied by an adult, and siblings are welcome. On Tuesday, February 5, 2019, Penn Manor School District will sponsor a Kindergarten Information Night and Preschool Expo at Hambright Elementary School (3000 Charlestown Road, Lancaster 17603). The snow date is February 6. Preschool Expo: Beginning at 6:15 p.m., Penn Manor families will have the opportunity to network with representatives of local preschools to learn about pre-K options in our area. Enrolling your child in a pre-K program helps build a solid foundation for learning and eases the transition to kindergarten. Kindergarten Information Night: At 7 p.m., our Penn Manor kindergarten teachers will provide an overview of our curriculum and explain how you can help ensure that your child is ready to attend kindergarten. If you have a child who will be 5 years old on or before September 1, 2019, he/she is eligible to enroll in kindergarten. Online registration opens January 7, 2019. Parents may attend one or both events. Registration is NOT required, and child care will not be provided. 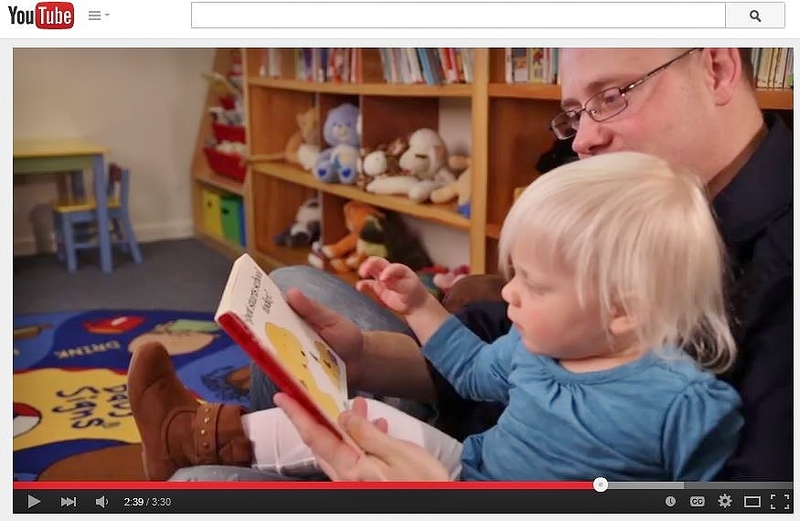 The Junior League of Lancaster has created a video to give parents solid strategies for reading with their preschool aged children. Reading with your child will help ensure that he or she is exposed to great books prior to registering for kindergarten. Click here.